During of the day ambassadors from Cambridge Cleantech and BTEC students from Cambridge Regional College delivered a variety of hands-on activities. Giving the younger students an opportunity to interact with those who have chosen a STEM related education pathway encourages them to consider the wide range of options available to them when thinking about their future. 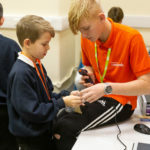 By providing inspiring role models and motivating young people to consider a future in STEM, Cambridge LaunchPad supports the growing demand for skilled professionals within the Greater Cambridgeshire area. “What an amazing project to be involved in. We are really keen to help promote STEM subjects and how exciting they can be, as well as promote Cleantech. These young children will be our future engineers, scientists and inventors who will have to solve environmental and technical problems we haven’t even begun to consider yet – it’s our duty to enthuse and engage them in STEM now”. Upon arrival the students were split into 4 activity groups. 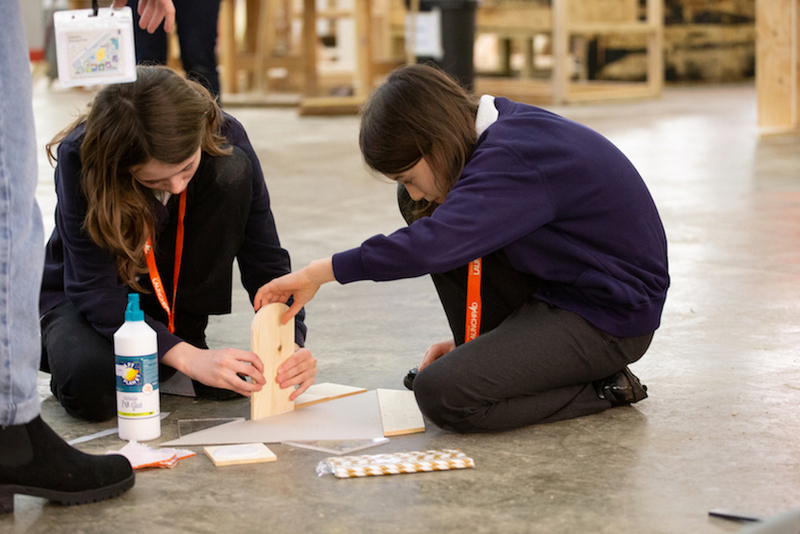 As part of Cambridge Cleantech’s Greensoul project, students were encouraged to think about the amount of energy that is used when building our homes. 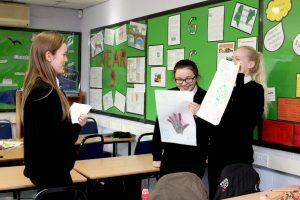 As pairs, each team was given a selection of recycled materials and tasked to come up with an imaginative design for an energy-efficient eco-house. Some of their ideas included wind turbines, rainwater collection and interior lift systems. Architecture teachers tasked students to build a tall and stable tower. Year 6 students developed their game design ideas. Students from Cambridge Regional College were on hand to lead the days activities. Further activities were run by BTEC students currently studying construction at Cambridge regional college. Year 6 students worked with ambassadors to create and pitch a selection of video games: an ocean clean up game in which players have to collect plastic in their submarine whilst dodging sharks and fruit thief, a supermarket dash to catch the robber but as he runs away the player must dodge the stolen fruit falling from his rucksack. They also tried out their design and engineering skills, creating a structurally stable tower from spaghetti and marshmallows and, finally, teams produced and tested prototypes of rockets from recycled plastic. 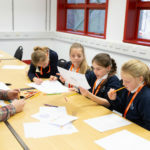 The day onsite at Cambridge regional College got one Year 6 student from Bar Hill Community Primary School, thinking about her future education. 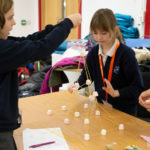 Throughout the day students were encouraged to develop their Cambridge LaunchPad core values, ‘soft skills’ such as communication, teamwork, creativity and imagination. The team of students who best displayed their understanding of these skills were selected to attend an additional prize trip and award ceremony that is held at the end of the academic year. If you want to find out more about how Cambridge LaunchPad is making STEM subjects accessible to all, please contact us at cambridge-launchpad@formthefuture.org.uk.